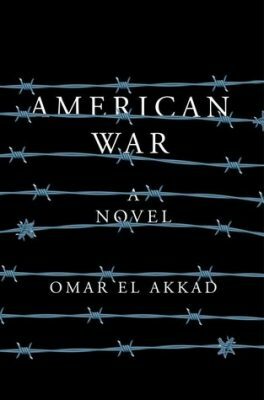 I’m very pleased to welcome Omar El Akkad, author of American War, one of the most anticipated novels of 2017 (coming April 4). Omar was born in Cairo, Egypt and grew up in Doha, Qatar until he moved to Canada with his family. He is an award-winning journalist and author who has traveled around the world to cover many of the most important news stories of the last decade. He is a recipient of Canada’s National Newspaper Award for investigative reporting and the Goff Penny Memorial Prize for Young Canadian Journalists, as well as three National Magazine Award honorable mentions. He lives in Portland, Oregon. Mary: You are an award-winning journalist, formerly of The Globe and Mail here in Canada. You have traveled around the world and reported on the NATO-led war in Egypt and Black Lives Matter. You received a National Newspaper Award on your coverage on the Toronto 18 terrorism arrests. I imagine that this sort of background gave you quite a bit of knowledge about the essence of war. What experiences in your investigative reporting stand out, and did any provide invaluable insight for the writing of American War? Omar: The two experiences that stand out the most for their influence on this novel are my assignments in Afghanistan and Guantanamo Bay. Some of the settings and scenes in the book – in particular a refugee camp called Camp Patience – are based on things I saw in and around the NATO base in Kandahar. And one chapter in the second half of the novel, which takes place in a military detention camp, is based in large part on the time I spent covering the camps in Guantanamo Bay. But a whole host of other reporting assignments provided me with experiences that later found their way into the novel – in particular, the time I spent in Louisiana and Florida covering stories about the consequences of climate change and rising sea levels. Mary: That goes along with my next question. One reason I wanted to interview you is that dragonfly.eco studies, in part, how authors deal with global warming in fiction. Climate change is not a novel concept anymore, and it is a subject that one day will probably be in the least at the backdrop of most stories. Out of all the novels written in the world, however, relatively few currently address environmental issues head on in fiction—those that do justifiably include the subject in a cultural prism (where environment, technology, economy, sociology, policy, and ideology are closely tied). What inspired you to write this debut novel? And in your background experience of war reporting, how often is the environment at the root of instability and socio-economic crises? Omar: I started writing American War because I wanted to write about the universal nature of revenge, the way any of us, exposed to enough injustice, can be made evil or wrathful. From that premise, I began to build a world. I knew what I wanted to do was take the conflicts that have defined the world during my lifetime and recast them as elements of an American civil war. It was when I was trying to determine what the precipitating factors of a second civil war would be that environmental calamity first became a fundamental part of the story. In the book, the war breaks out because a number of southern states refuse to abide by a federal prohibition on fossil fuels. I had to show what the country might look like toward the second half of this century as a result of climate change caused in large part by the use of those fuels – in the novel, sea levels have risen dramatically, the coastal cities are underwater, and there’s been a massive inland migration that has radically altered the country’s demographics. In my experience covering conflict, the environment is rarely discussed as a root source of any conflict. But I have little doubt that climate change and its impact on everything from food production to migration patterns will be one of the primary drivers of war in the coming decades. Mary: I think so too. As you pointed out, American War is about a second civil war in the United States, this one driven by a deep divide over the use of fossil fuels in an era of global warming. While the book is speculative, this scenario seems to be a likely outcome if things don’t improve—and with Trump at the wheel, it seems fossil fuels have a leader who will promote them, which goes against the grain of many Americans’ ideas of a more sustainable future. More and more, it seems that speculative novels such as yours are more realistic than not. There is now a faded line between a potential frightening dystopian scenario and what might become reality due to where we are at and where we are headed. 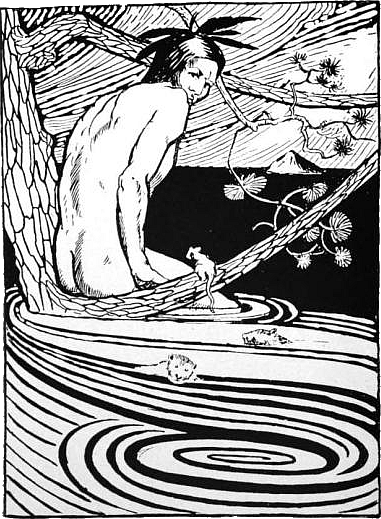 Quill & Quire even said about your novel “It has gone from being dystopian fiction to a work of historical naturalism before it’s even published.” Do you see your fiction as not stranger than truth? Do you think it’s a weird time to be writing speculative fiction? Omar: I’m adamant that I never set out to write a book about the future. I realize how that sounds, given that American War is set about half a century from now, but at its core I think it’s a book about what has happened and what is happening now, not what will or might happen. I finished the first draft of the manuscript in the early summer of 2015, and I would have never guessed back then that the world would look the way it does two years later. I think the purpose of all good speculative fiction is to adjust in a grotesque manner the variables of the physical world in an effort to more easily explore something about what it means to be human. In that sense, it is a very strange time to be writing speculative fiction, in large part because the world seems every day to be headed in its own grotesque direction, one very few writers could have imagined –reality seems constantly on the verge of out-fictioning fiction. Mary: I think many of us wouldn’t have predicted in 2015 the reality of our current crisis in America. It really is surprising. Your novel follows the life of Sarah T. Chestnut (Sarat), as told from her nephew’s viewpoint, from the time she comes of age until she is older. How did you create this character—your inspirations, writing development, and so on? Omar: Sarat was one of the first characters to come to me, and is perhaps the only one who arrived fully formed. The little girl who appears at the beginning of the story is largely unchanged from the first time I saw her in my mind. I don’t subscribe to the idea that fictional characters should be based primarily on real people, and Sarat doesn’t take after anyone I know or know of. Her defining characteristic, to me, is a kind of defiant curiosity. She burns to know everything there is to know, beginning with the natural world around her. And throughout the book, she never loses that characteristic – what does change is the way her curiosity and stubbornness are turned against her, and the way she comes to use them not as tools to understand the world, but to destroy it. Mary: I’ve seen American War on a few must-read lists for 2017 (Macleans, Toronto Star, Quill & Quire, The Verge, The Millions, and The Globe and Mail). There are probably more than that, but that’s quite a start for you. How does it feel for your debut novel to be rated so highly already? Omar: It’s a surreal and deeply gratifying experience any time my novel is mentioned alongside the work of authors I admire. When I started writing American War, I had no literary agent, no publisher and no expectation that the book would ever see the light of day – let alone end up on anybody’s must-read list. I’m certainly grateful some of the novel’s early readers have found it enjoyable or worthwhile, but I can’t say I was at all prepared for the magnitude of the response the book has generated so far. Mary: Well, congratulations. It seems very exciting! I ask this of a lot of authors I interview: who are your favorite authors, and why? Omar: My Mt. Rushmore of English-language writers includes Toni Morrison, John Steinbeck, William Faulkner, James Baldwin and Herman Melville. Certainly these are writers universally loved and possessed of the kind of genius that makes explaining their selection here unnecessary, but I mention them only because each one provided me with what I consider the most cathartic experience an author can give a reader – I saw the world one way before I read their work, and an entirely different way after. Mary: What’s next on your agenda? Are you working further in journalism? Are there any more ideas for a novel or other book in your future? Omar: I’m working on another piece of fiction, an idea I came up with a year or so ago and spent the second half of 2016 researching. I’ll be on the road for a good portion of the next few months as part of the American War book tour, and then hopefully I can get back to Portland, shut the outside world off for a while, and get back to writing. Mary: Please be in touch if you come to Vancouver, not too far north! Thanks for your time, Omar. It has been a pleasure. And best of luck with American War and future novels.